OC WELLNESS deals with a wide variety of body and facial skin imperfections. Our innovative and high-tech treatments can work to improve everything from wrinkles and fine lines, to aging, acne scars and sun damaged skin. ProFractional is the latest in skin rejuvenation and provides significant results with little discomfort and downtime. The resulting new collagen formation improves the appearance of wrinkles, acne scars, skin tone, texture and pigmentation and corrects the visible signs of skin damage. This IPL (intense pulsed light) technology utilizes the BBL (BroadBand Light) System to effectively treat hyper-pigmentation (brown spots), rosacea, active acne, sun damage and vascular lesions. Besides being effective on the face, it is safe on the entire body, hands, decollete, back, chest, arms and legs. Utilizing a short-pulse Erbium laser to ablate the outer layers of the skin at precise depths. This treatment is great for poor skin tone, fine lines, wrinkles, ance scars, sun-damage and more. One MicroLaserPeel is the equivalent of 4-10 microdermabrasion treatments with the added benefits of long-term collagen remodeling and visible results within 2 weeks. 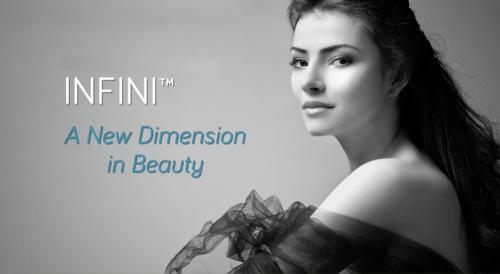 INFINI is a skin-rejuvenating treatment that combines fractional radio frequency with microneedling to encourage new collagen growth and tighten the skin. The microneedling allows the radio frequency to treat the dermis, the layer below the top layers of skin. INFINI treatments can significantly improve sagging skin, minimize wrinkling and also improve the appearance of scars. This unique and innovative technology protects the top layer of the skin, therefore, allowing treatments on all skin types, even tanned skin. 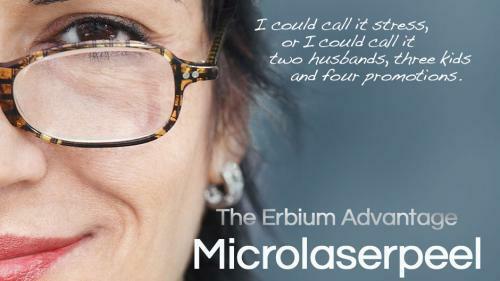 Call to schedule an appointment to find out the Laser Treatment that's right for you.